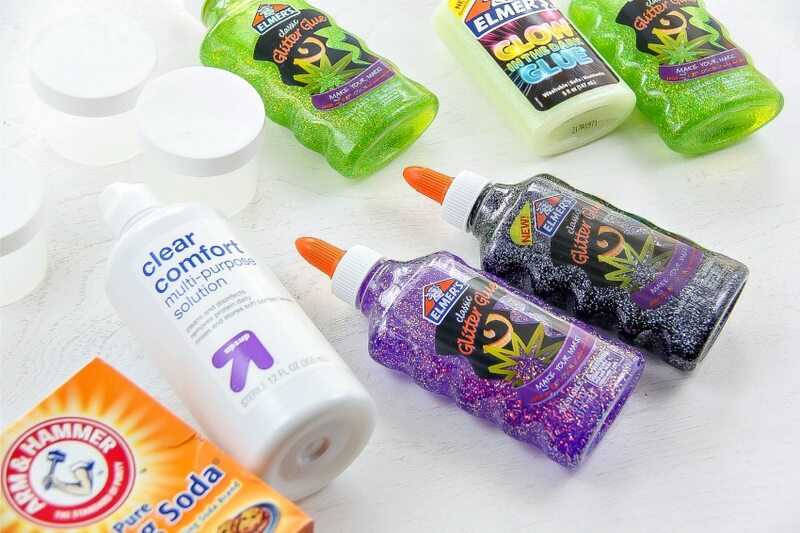 We are OBSESSED with slime. Some days I will literally find it hanging from the stair railings, and no matter where you walk, you’ll always come across a tub. My daughter won’t stop making it. So, when I asked her to make some inspired by Hotel Transylvania 3 she was immediately all over it! 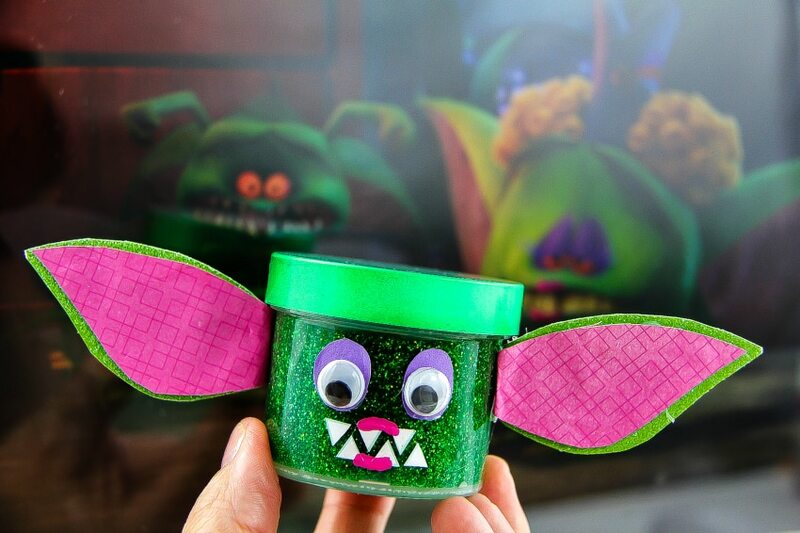 She likes to experiment a lot while making slime, so each of the tubs I’m going to show you is a little bit different… and inspired by the upcoming movie, Hotel Transylvania 3. We’ve been waiting for this new animated flick to release because the first two were so much FUN. 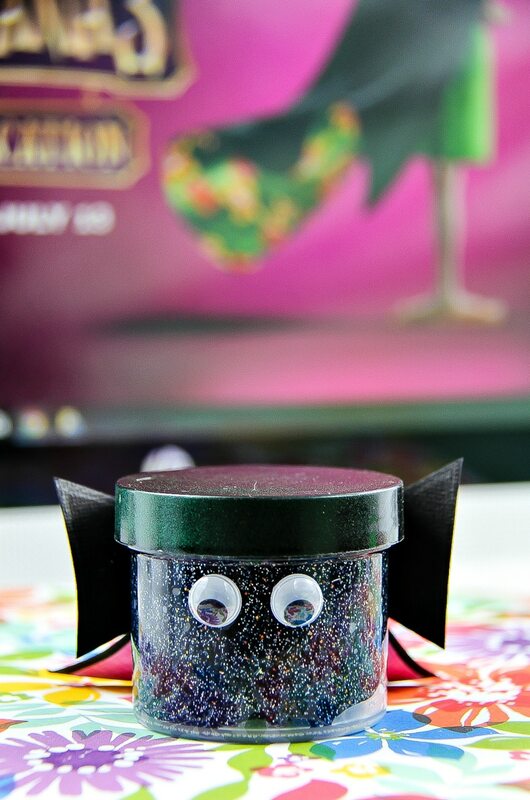 If you have kids that like to get their hands dirty, check out this DIY craft inspired by the spooky and the glittery!! She used the same basic method for making each of these which is 6ox of glue (3oz of each if using two different colors), 1/2 tablespoon of baking soda, and approximately 1 1/2 tablespoons of contact solution. Let’s start with making Drac. 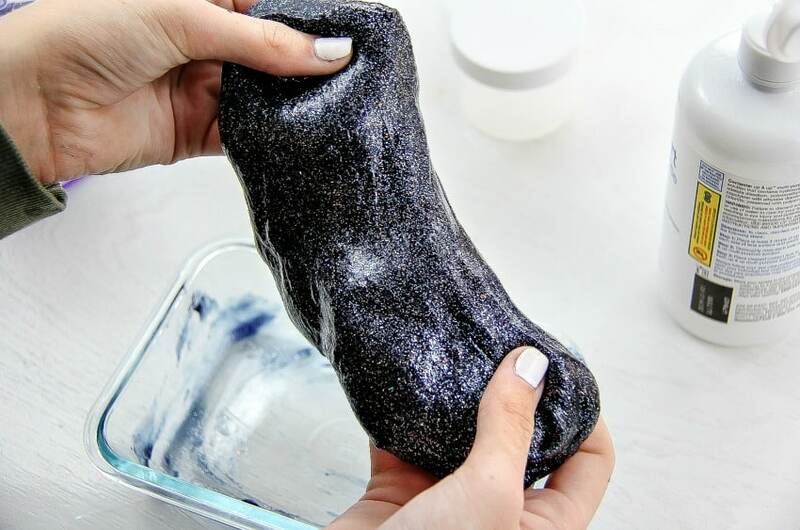 Combine 3oz of purple, with 3oz black glitter glue, add baking soda, and then add a little contact solution at a time until the slime is no longer sticky. 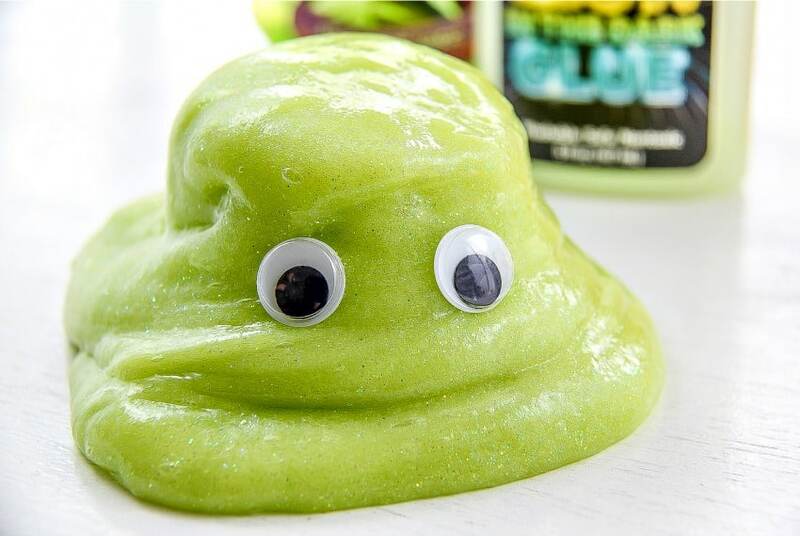 This is how the slime should look once finished. 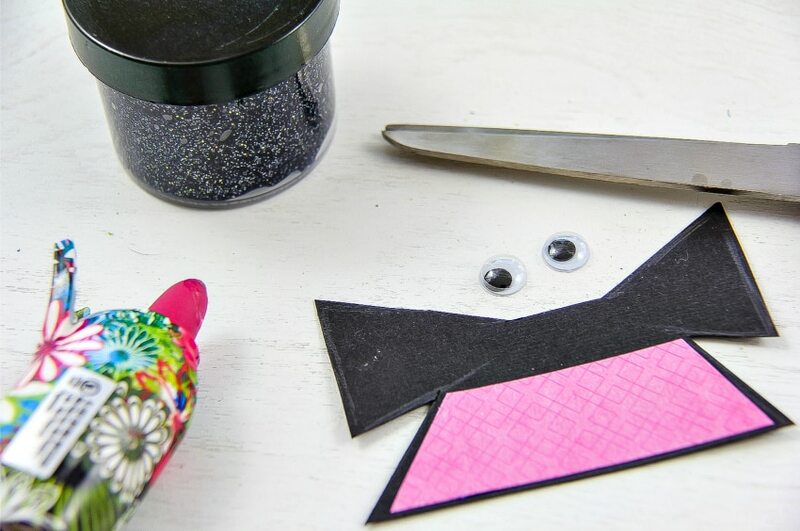 Repeat the same steps to make Blobby only switch out the black and purple glitter glue for green glitter glue and glow-in-the-dark glue. Now, for the Gremlin (from Gremlin Air) we decided it should be a little more green than Blobby so we added a little extra green glitter and green food dye. Store your slime in airtight containers to stop them from drying out. 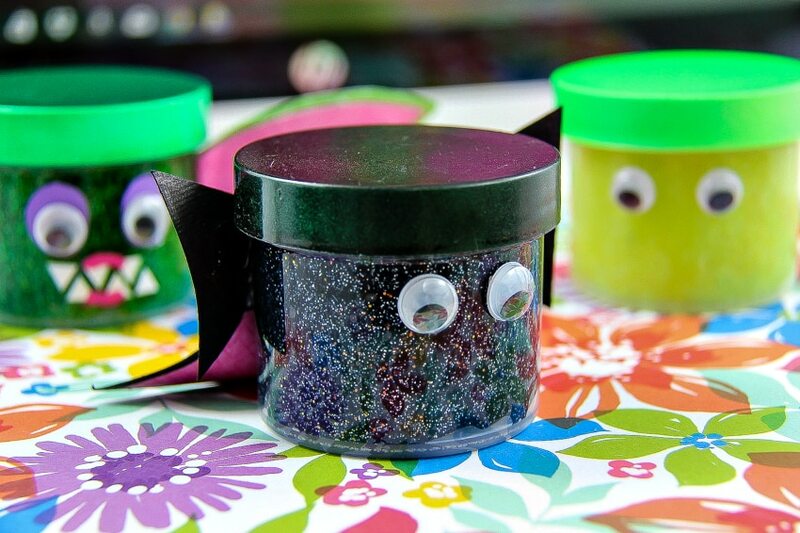 Not satisfied with just making slime though, we decided to decorate the containers to resemble the characters from Hotel Transylvania 3. 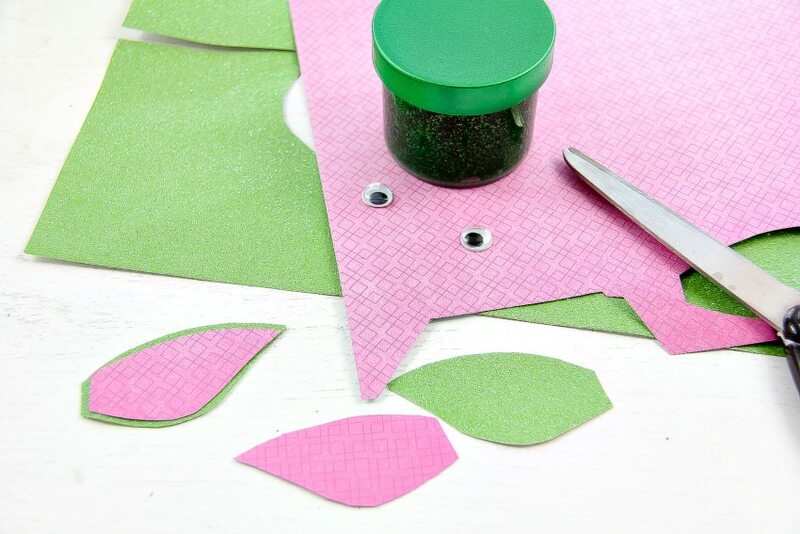 All you need is scrapbook paper, scissors, glue, and googly eyes. I know it’s a little early for Halloween and Christmas, but these would make fantastic gifts for classrooms, stocking stuffers, and parties. I hope you are looking forward to seeing this new movie as much as we are. It will be in theaters July 13th. Mark your calendars because Hotel Transylvania 3 hits theatres on July 13th! 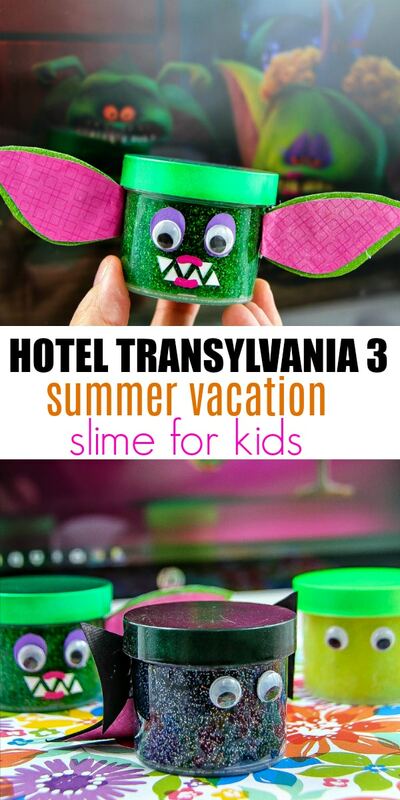 What do you think of these Hotel Transylvania 3 slime ideas? Think you’ll try out the designs with your kids? Let us know what you think!